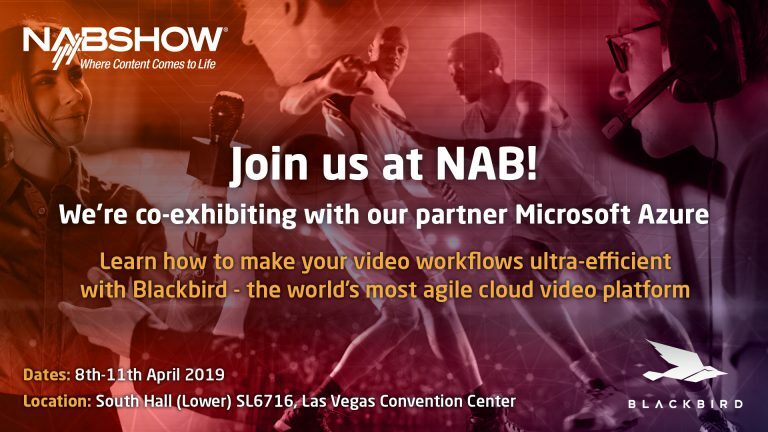 The NAB Show is the ultimate event for media, entertainment and technology professionals looking for new and innovative ways to create, manage, deliver and monetise content on any platform. Blackbird will be in Las Vegas exhibiting with Microsoft Azure at this event from April 8-11. Find us at South Hall (Lower) – SL6716 to learn more about the Blackbird Azure Workflow. Compatible with Microsoft Azure, our workflow provides users with hyperfast navigation, playback feature and frame accuracy for an unbeatable workstation experience. Which department do you require? How did you hear about Blackbird? Copyright © 1998 - 2019. Blackbird® is a registered trademark of Forbidden Technologies plc. All rights reserved.